Healthy total cholesterol, LDL cholesterol and triglyceride levels. Viridian Sytrinol is a patented proprietary supplement derived from natural citrus and palm fruit extracts. Sytrinol combines polymethoxylated flavones (PMFs), delta, gamma, alpha tocotrienols and other proprietary constituents. This combination results in a synergistic effect, significantly promoting healthy total cholesterol, LDL cholesterol and triglyceride levels. Additionally, Sytrinol is a powerful antioxidant with numerous heart health benefits that help control anti-inflammatory responses and cellular health. Natural Cholesterol lowering - studies indicate an improvement of around 30% reduction in total cholesterol within four weeks. Triglyeride lowering - PMFs decrease a liver enzyme needed for the synthesis of triglycerides. Antioxidant - Sytrinol confers numerous heart health benefits whilst tocotrienols are more effective than vitamin E in reducing plaque formation. Anti-inflammatory - PMFs have been shown to reduce inflammation markers in the body. Cell protective - PMFs have been shown to inhibit nitric oxide and superoxide - two potent free radicals. 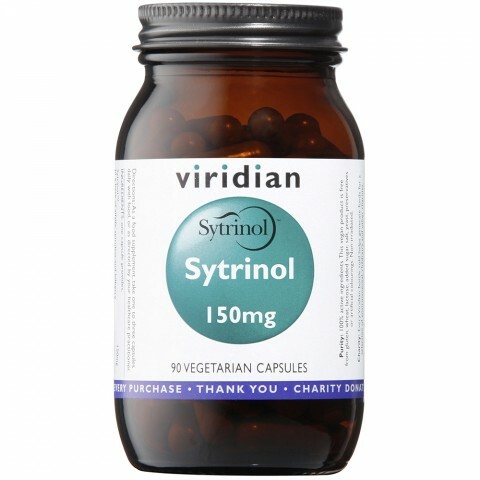 Sytrinol 150mg,_in a base of alfalfa, spirulina and bilberry.